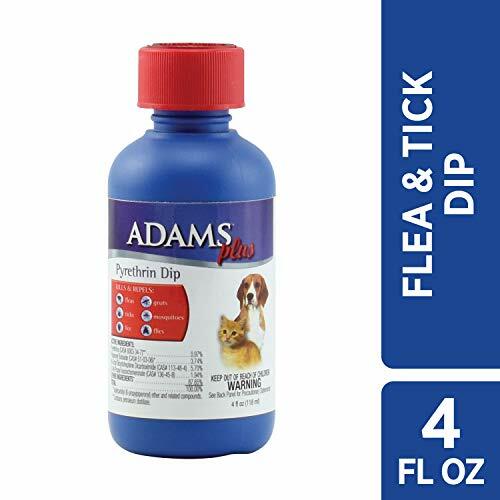 Adams Flea and Tick Spray for Cats kills adult fleas, flea eggs, flea larvae, and ticks. It breaks the flea life cycle for up to two months. A light, even coverage of the hair coat will provide effective flea control. 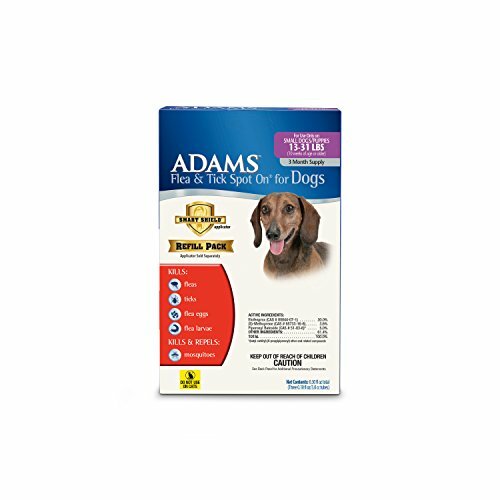 Adams Flea & Tick Spot On for Dogs kills fleas, ticks, flea eggs, flea larvae. It also kills and repels mosquitoes. It provides flea and tick protection for dogs for up to 30 days and is water resistent. 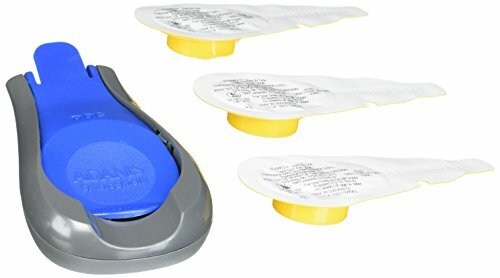 The Smart Shield Applicator is specially designed to make applying flea and tick control easier and more precise than ever before. The applicator's ergonomic, contoured shape makes it easy to grip and the built in fin helps to spread the dog's hair to allow the liquid to more readily reach the skin. 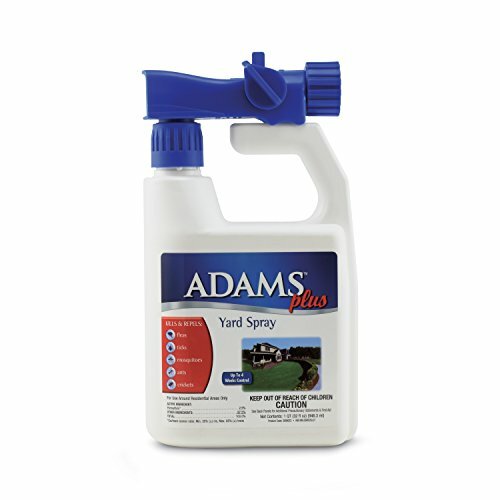 Adams Flea and Tick Spot On Refill packages are for use with the Smart Shield applicators. 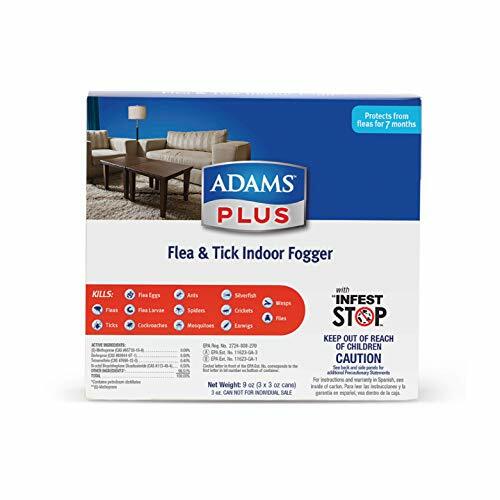 Adams Flea and Tick Indoor Fogger seeks out bugs where they hide in carpets, drapes, upholstery, and more and kills on contact. 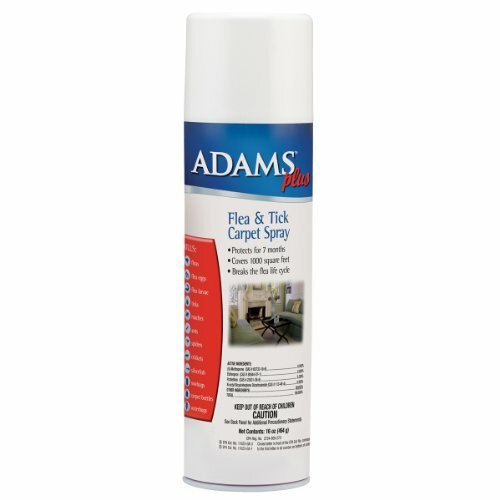 Adams Plus Flea & Tick Carpet Spray kills adult fleas, hatching flea eggs, flea larvae, ticks, roaches, ants, water bugs, silverfish, crickets, spiders, sowbugs, and carpet beetles. 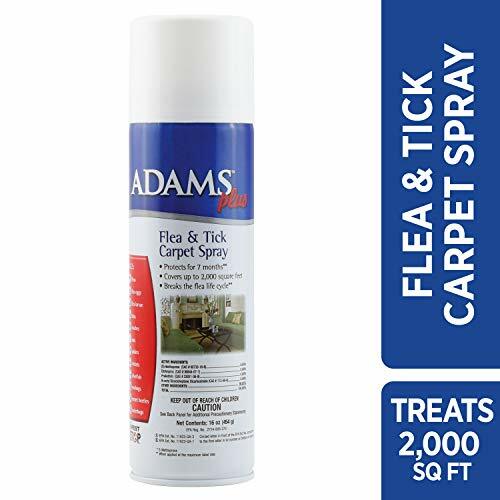 It contains an Insect Growth Regulator (IGR) along with other ingredients to kill the adult fleas and prevent flea larvae from developing into biting adults. It reaches the hiding places of the flea: rugs, carpets, drapes, pet bedding, upholstery, and furniture. When applied at the maximum rate, one treatment protects for 7 months. 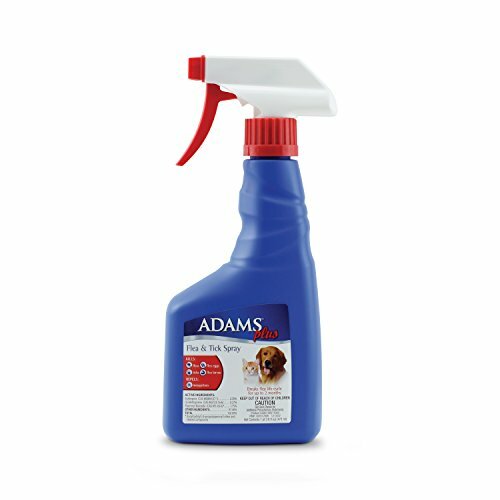 Adams Plus Flea and Tick Spray features a convenient, easy-to-use trigger for fast and even application directly on pets. Provides immediate and long-lasting flea and tick protection for up 2 months. Insect Growth Regulator breaks the flea life cycle and prevents new flea infestations. Safe for for puppies and kittens 12 weeks of age or older. 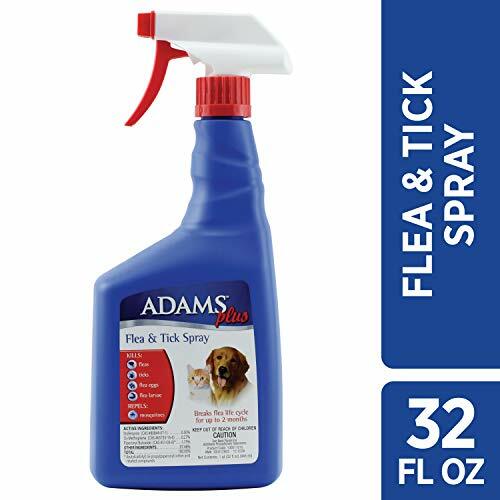 This highly effective flea and tick spray provides quick relief from biting fleas. 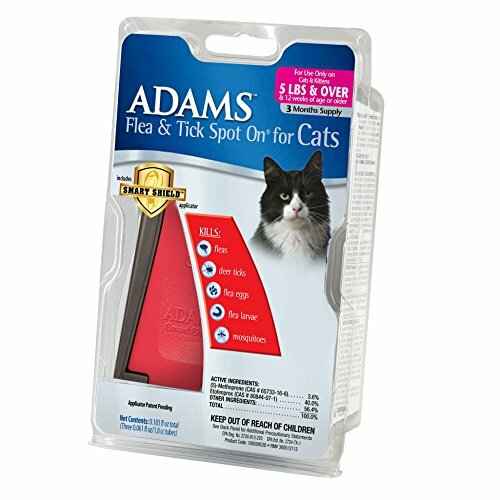 Adams Flea and Tick Spot On for Cats kills fleas, deer ticks, flea eggs, flea larvae, and mosquitoes for 30 days. It works by application directly to the cat's/kittens's skin, not to the hair.